Please click on the below link to see Coffs Harbour Golf Club On Course Dress Regulations. Have you hit a ball out of bounds and worried you may have damaged a house or hit a ball into the carpark and thought it may have hit a car? You need not worry if you are a playing member of our Club as you are covered under a Golf Australia liability insurance policy. There is no excess on this policy and the Club is able to assist you if you need to apply. That’s right, no excess and no charges to you to make a claim. So the next time you hit a ball out of bounds or into the car park please stop in at the end of your round and let the Pro Shop know. This way the Club can ensure that any damage done to a house or a member’s car is repaired. Below is an outline of how the policy works. Golf Australia maintains a Player’s Personal Liability Insurance Policy for all members of affiliated golf clubs as part of Golf Australia’s Australian Golf Insurance scheme. 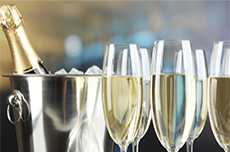 Broadly this policy covers the legal liability of your members to pay compensation for personal injury or property damage which occurs while playing or practising golf or attending a golf event or venue as a player, guest or spectator. 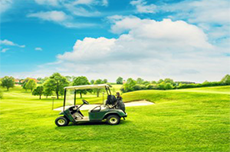 Personal liability arising from the use of a motorised or non-motorised golf buggy in the act of playing golf is also included, whether the golf buggy is owned by the club or the member. In the event of a claim, Golf Australia suggests your member to lodge a claim via the process below. Club Member responsible for personal injury or property damage contact your club administration directly and immediately. Club Member to contact Sportscover on 1300 134 956 to discuss the circumstance. In the event of property damage, await the confirmation of the claim prior to undergoing repairs to damaged property. Member A pulls up behind another cart at the eighth tee. Instead of pressing the brake pedal they press the accelerator and the cart accelerates into the cart in front. Unfortunately, Member B is standing between the carts whilst removing the driver from their bag. Member B has their legs pinned, incurring substantial damage to their lower right leg. Member B’s injuries require hospitalisation, x-rays, physiotherapy appointments etc. The unfortunate incident is made better by the fact that Member A has GA’s Players Personal Liability insurance cover to pay for Member B’s medical costs. What would happen if Member A was a member of another club and was visiting Member B’s club? Member A would still be covered under GA’s Players Personal Liability insurance wherever they played her golf. What would happen if Member A was driving their own cart of which they did not have insurance? The GA insurance covers Member A and not the cart, therefore they are covered for the legal liability for the compensation from the incident.